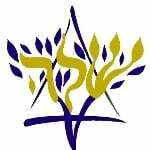 Established in 1962, Shaloh House Jewish Day School was given two mandates by its visionary founder, the Lubavitcher Rebbe. The first was to make day school education available to every Jewish child in Greater Boston. The second was to make the education the best available. Since its inception, Shaloh House Day School has educated thousands of Jewish children.